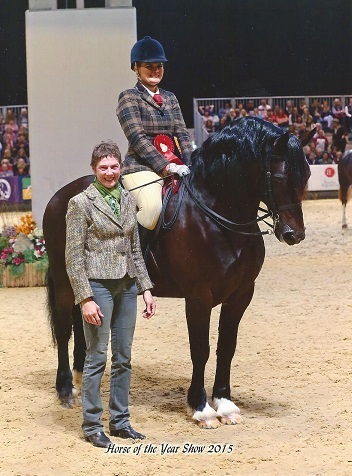 'Sandy' has been bred with an intention to compete in ridden classes. His Dam Gooseberry being a HOYS finalist and a fantastic worker, his sire Old Fashion qualified for HOYS/Olympia on his first attempt on his debut open season. 'Zorba' is the first section D Kate has ever bred, she absolutely adores him and in the future she intends for him to go under saddle. 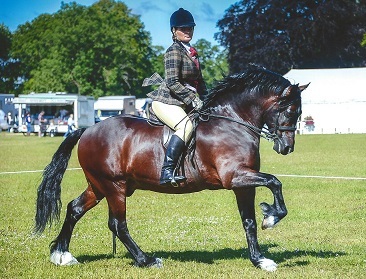 She has competed in a few shows with him as a yearling and has had some success winning at Glanusk Stallion show, Youngstock Champion Glamorgan Bronze medal show, 1st Royal Bath and West, 4th at Royal Welsh and 2nd at the Royal Welsh Winter Fair, only times shown this season. He will eventually be our future stud stallion. Massive thanks must go to the Fronarth Stud for lending us Magic Man for the 2016 season. He is tremendously well bred being by Fronarth Welsh Magic our of GPOW Cup winner Fronarth Super Model. He has left us two super cob fillies which we have retained. Big thanks to Nicki and Dan Oldershaw of the Larnleighs Stud who leant us Neppie for the 2016 season to cover the C mares. He is a previous HOYS and Olympia finalist and has qualified again for the Veteran final at Olympia 2017. We can't wait to watch him! Justin Davis and Heidi Bennett of the Popsters stud very kindly leased their lovely black Section C stallion out to us for the 2015 season. He has provided us with three beautiful Section C Foals and we think they may be keepers! Dad's favourite boy. Only covered a few times but left us with some lovely stock such as Ringside Hebegebe and Ringside Gabriel. 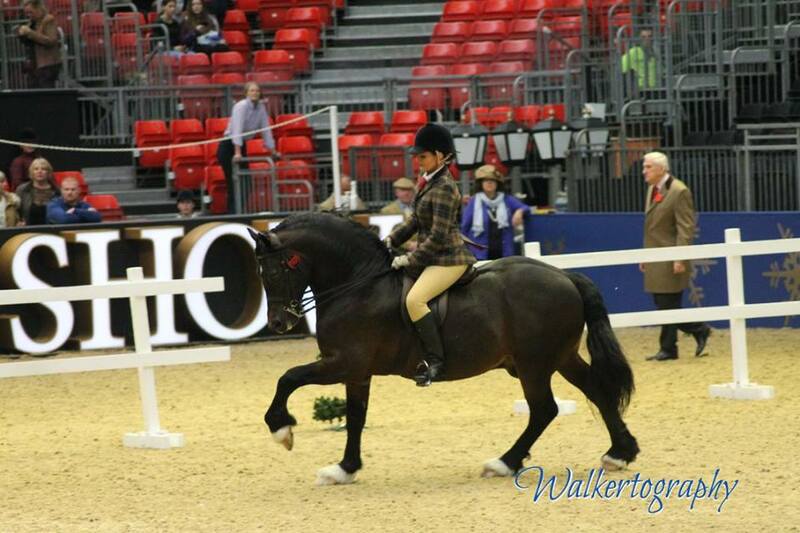 Prolific winner in hand as a youngster with wins at the Royal Welsh, along with multiple Bronze and Silver Medals. Now sold to hopefully pursue a successful ridden career. We cannot wait to see him out! Many thanks to Sandy Anderson of the Thistledown Stud for allowing us to have "Bucs" to show for the 2011 season. We managed to qualify him for many finals including our Ringside Open at NPS Champs,Brynseion at welsh nationals, Spring fest winter final, the Grand Prix, RIHS and Horse of the Year Show! We completely fell in love with Buccaneer over the course of the season, so much so that we bought one of his beautiful daughters (Thistledown Golden Zumba) so we have a bit of him to keep forever. Now home at Thistledown stud, see ridden page for more on Bucs. Thank you Desi Hand for letting us have your beautiful stallion Dotty. We had alot of fun with him and he has succesfully covered our three year old Popsters Roulette. A huge thanks to Wyken stud for allowing us to borrow the famous stockgetter Robbie for the 2012 season. He's been such a dude and we look forward to seeing his stock in 2013! Thomas was sold to Denmark as a yearling. He returned home to Wales as a five year old where we broke him and campaigned him under saddle. 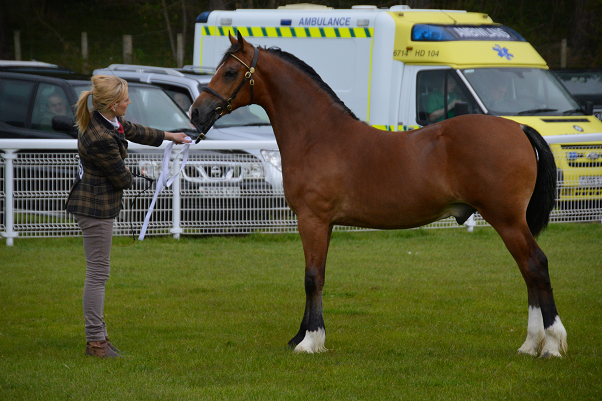 In his novice season he won the Royal Welsh and qualified for the Horse of the Year show with our youngest daughter Kate. Thomas is the first homebred to qualify but we hope he is the first of many. We would like to thank Thomas and Julia Holm Van Dahl for looking after Tom so well, he has found a fantastic home. None of us imagined we would ever see him again, but its been a privilege to see him all grown up and so succesful as we knew he would be. It has been very hard to see him go as he was such a character, but we look forward to meeting his future progeny as straws were collected before his departure. For more info and pics go to the Ridden page.